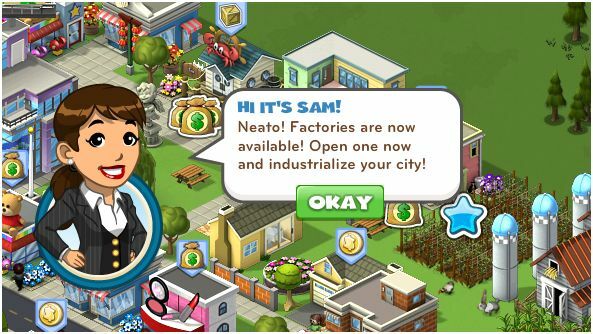 Yes, it has been months since my last post, which signaled the entry of CityVille onto the Facebook social game scene. In the meantime, I’ve been reading (Don DeLillo’s The Body Artist, Madison Smartt Bell’s The Year of Silence, Paul Burkett’s Marxism and Ecological Economics, Michel Serres’s The Natural Contract, Mitchell Thomashow’s Bringing the Biosphere Home, Aaron Sachs’s The Humboldt Current, Ursula Heise’s Sense of Place and Sense of Planet, and most recently Jane McGonigal’s Reality is Broken). I’ve also been steadily plugging away at my chapter on farm games, and I’ve been halfheartedly maintaining my virtual farms, homesteads, and cities, though I’ve cut the upkeep down to just a few -Villes to save my sanity and my dissertation from even further derailment. A few weeks ago I had the opportunity to participate in a small but incredibly rewarding conference sponsored by various centers here at UC Berkeley, called World Craft: The Business and Culture of Gaming in East Asia. So much of American game studies scholarship ignores non-American contexts that it was refreshing to see academics and industry representatives coming together to devote two days to cross-cultural comparison and the complex experiences of players and player communities in Korea, Japan, China, and Taiwan. For a veteran World of WarCraft player like me, it was flabbergasting to watch “The War of Internet Addiction,” a film made by Chinese WoW players expressing both humor and (mostly) anger over the use of electroshock therapy on videogame players in China and the excesses of corporate and governmental control. I enjoyed learning about how the interaction between Chinese and Taiwanese WoW players reflects the nuances of cross-strait relations (Holin Lin), how player communities are often effectively constrained by latency/ping (Graham Candy), and how the stereotype of the “immiserated Asian worker” embodied by the Chinese gold farmer is a dangerous new form of technoorientalism (Lisa Nakamura). I even got to meet Bonnie Nardi, whose book My Life as a Night Elf Priest: An Anthropological Account of World of WarCraft I recently reviewed (forthcoming), and to talk again with thatgamecompany’s Jenova Chen, whose game Flower for the PlayStation Network I write about in an upcoming issue on contemporary ecocriticism. 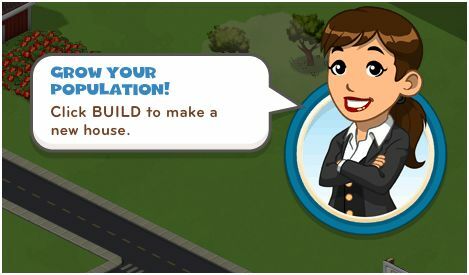 While I’m here, I might as well share some of my favorite working screenshots from CityVille, which collectively demonstrate a somewhat terrifying dedication to population growth, urban sprawl, and “more, more, more” consumerism. Perhaps I should have been clued in when I went to name my city Metropolis, in what I thought was a tongue-in-cheek reference to Fritz Lang’s less-than-sanguine-about-urban-life classic, and discovered that “Metropolis” was actually the default name for CityVille cities! CityVille sets regular goals for you to raise the population of your city (from under 100 to 500 to 1000 to 1500 and so on), which drive you to build increasingly dense urban housing (cozy cottages and country homes just don’t cut it after a while, since apartment complexes and upscale condos can pack in more people). In what seems like a corrective, your city also earns a happiness rating. If the number of citizens currently living in your city comes too close to the population limit enabled by building additional community buildings (banks, police stations, schools, etc. ), the citizens become unhappy. However, because of the way that housing and community infrastructure goals are interwoven, the happiness level in effect is less tied to crowding than it is to the lack of room to grow–so for CityVille residents, bigger generally means better. It’s difficult not to feel a little depressed over this apparent treadmill of expansion and acquisition. While I was actually pleasantly surprised to see that CityVille does include farming (growing and harvesting crops to supply your restaurants and stores), in later stages of the game international shipping and railroad-delivered goods render farming largely unnecessary. 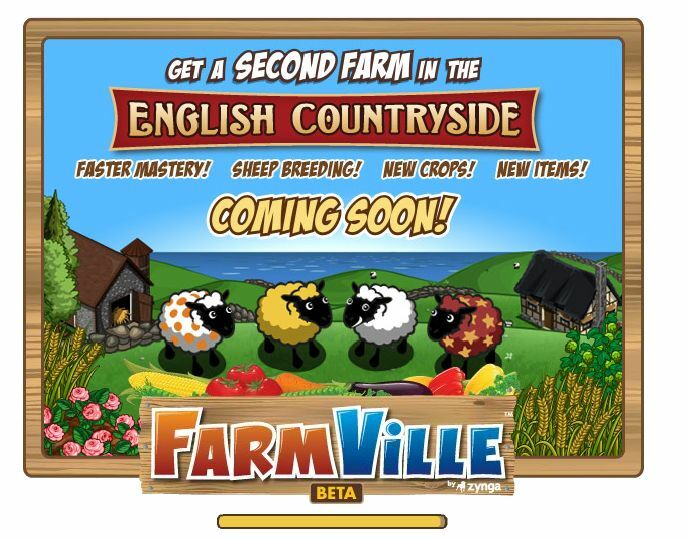 Agatha, the newest FarmVille spokeswoman, assures me that the soil there is “rich and fertile,” a claim I find a bit preposterous given England’s even longer agricultural history. But even more important to this decision to relocate virtual farming to the American “mother country” is the well-known English history of land tenancy and the loss of commons through enclosure, and the gross historical inequality between landowners and rural workers. So as frustrating as it is to have my object of study evolve faster than I can generate coherent thoughts about it, I’m extremely curious about what new head-scratching moments this latest installment will bring. 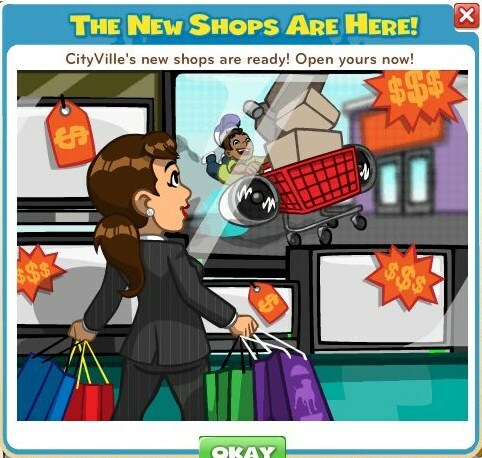 So, how I say this… welcome to CityVille!